Your final drive has a problem, and work has come to a grinding halt. We will beat any competitor prices on matching motors! Our 2-year , UNLIMITED hour warranty policy can't be beat! In fact, other resellers buy from OUR reman shop! We have hundreds of fitments in stock, ready to ship today! 6 Reasons OEMs Choose FinalDriveParts.com Drive Motors - Why Wouldn’t You? Major OEMs throughout the industry send their final drives and travel motors to FinalDriveParts.com to be re-manufactured. We re-manufacture thousands of travel motor final drives and final drive parts per year. We rebuild all of our reman final drives in-house. Our staff are experts who take pride in their work. Two-year hassle-free warranty on new travel motors and final drives; one-year for reman drives. Free shipping on all new travel motors and final drives within the continental U.S.
Free repair/rebuild estimates on travel motors and final drives. Your final drive has a problem, and work has come to a grinding halt. You have deadlines that won’t go away, employees that can’t work without their equipment, and clients that want everything done yesterday. We offer aftermarket new and rebuilt planetary travel motors for Bobcat, John Deere, Hitachi, Komatsu, Takeuchi, Kobelco, Kubota, IHI and final drive excavators, paving machines, and compact track loaders. As soon as your final drive arrives, an amazingly thorough cleaning and inspection process begins. Each part of your drive is inspected to determine if it is good to go, in need of repair, or in need of replacement. Once you’ve signed off on what needs to be done, our staff will get to work on it. Since we specialize in rebuilding and re-manufacturing final drives, we have them running better than they did when they were brand new. Our repairs and rebuilds are the most reliable in the industry. We keep thousands of parts in stock at our shop. There will be minimal waiting time for you if you just need a replacement part for your final drive. 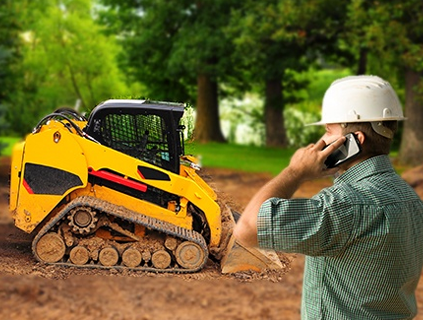 We focus on using only the highest quality parts on the market, particularly when it comes to bobcat mini excavator parts and bobcat final drives. As soon as we have identified the problem, we will fax you a cost-competitive estimate. In fact, when it comes to parts and service, our prices can’t be beat. Our price guarantee: we are willing to beat our competitors’ prices on the same final drives. If you find a better deal elsewhere, then call us at 888-934-6257 so that we can offer you a better deal! With our quick turnaround time, low costs, and high quality, we can have your equipment up and running fast so you can meet those deadlines! Our staff is well-trained, informed, and experienced – experts that take pride in their work and thrive on challenges. They are happy to answer questions both before and after the sale – even before things go wrong for you. Once we are finished, your final drive will be sent back to you as soon as possible and in the safest manner we know. Our rebuilt drives come with a one-year warranty on parts & labor and our new drives come with a two-year warranty on parts & labor, so you know that in the unlikely case something else goes wrong we will be there for you. So if something goes wrong with your final drive/travel drive/planetary drive/hydraulic drive/travel motor, contact us here at Final Drive Parts. We will get you running again right away. Prefer to Rebuild Your Own Motor or Pump? We can help you out with that, too. 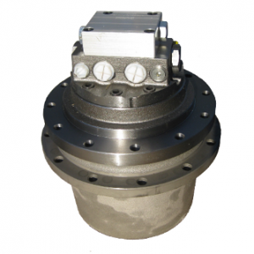 If you know what parts you need, give us a call and we can offer you the best prices on the highest quality aftermarket new and used parts for final drives, planetary drives, wheel motors and pumps for many brands including Caterpillar, Hitachi, Kawasaki, Nachi, Kayaba (KYB) and others.